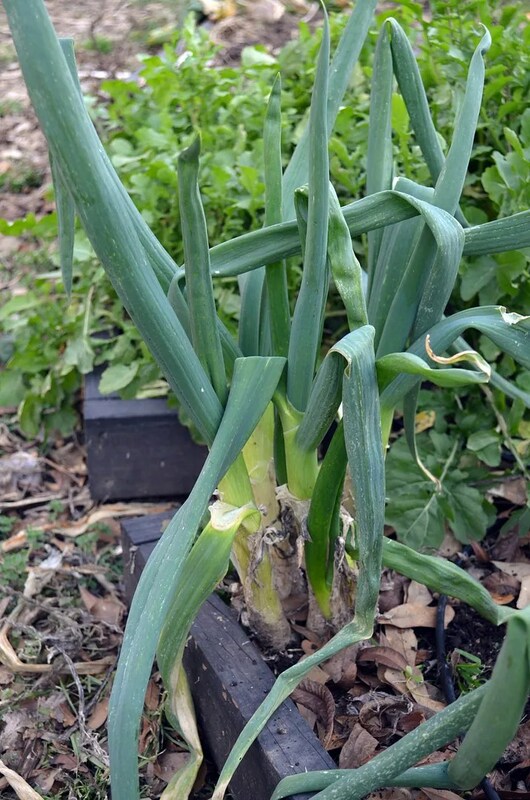 After you cut the last 1/4″ off the base of a grocery store scallions, if you plant this nub with its root remnants directly into the soil, it will regenerate. Seriously, these were in an area adjacent to some onion sets last year and I became frustrated when they failed to bulb. 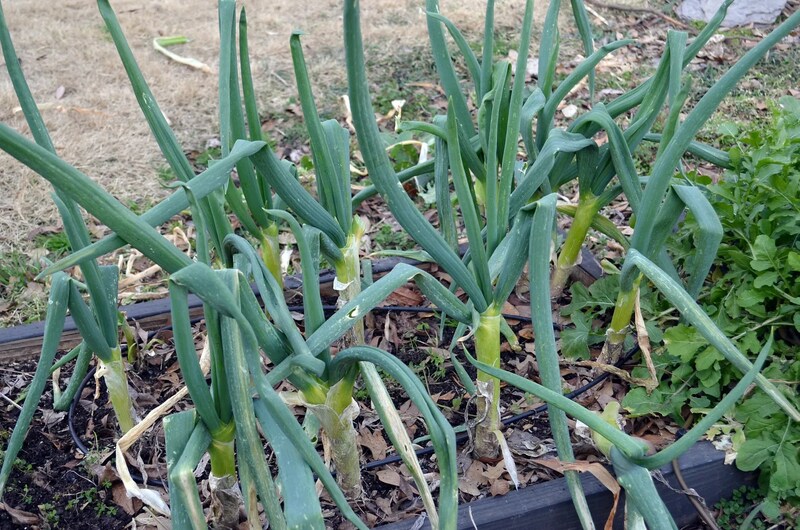 Eventually (after the green leaves stayed healthy and green for the entire summer) I remembered that these were my scallion nubs. So I ate a few and then divided most of the rest last fall to allow for another multiplying cycle; each one becomes a cluster of 3-5 (as in the first picture below) after being given a little room and some time. Also, the individual onion stalks are larger in diameter than I recall the originals being. Note that these are very slow growing, maybe a little more than a full year to reach the current size. Conclusion: Not bad for a low expectation/almost forgotten experiment. I do the same thing. 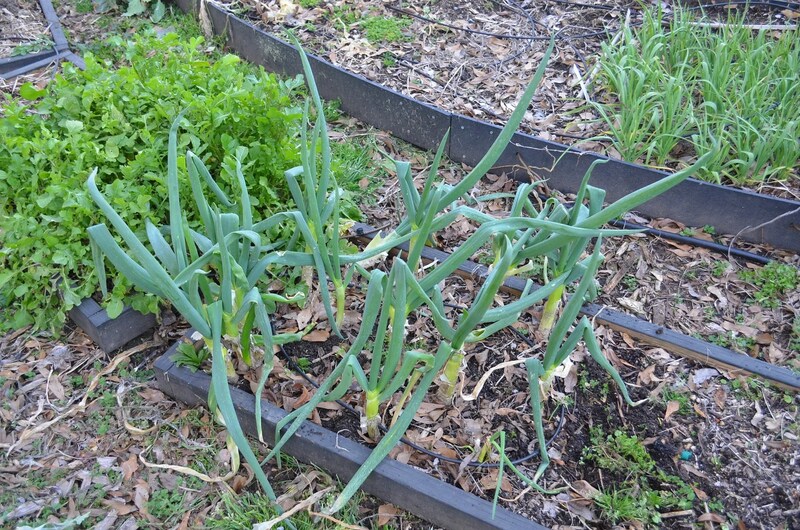 I grab about three and take them indoors for the winter, and I have fresh scallions all winter. Then I let them go to seed, they form nice seed heads and reuse. These of course are my own onions I rescue in late fall in Prince Edward Island. Haven’t seen a flower or seed head yet but was wondering about that. You can also do this with celery. Cut the celery base just above the roots, soak it in water for a day and then plant it. We have a number of celery heads coming up using this method. Works great! I’ve sprouted celery too but my chickens found it early on & pulled it right out of the pot I had transplanted it to blast em! The scallions have been great to use for the greens just sitting in water in my kitchen for a long time. They start getting scraggly after a couple of months I found. I’m gonna get some going & try to get them in the garden this year to see about going to seed as well. Great post! PS I have a friend who’s sprouted roots on pineapple tops & is going to try growing that. Know anything about that? As many odd things I have tried to grow, pineapples isn’t on the list. BTW, I have tried pineapples (living in Sydney, the climate’s okay but not great for them) and the top looks nice and healthy (I cut them off the pineapple, removed some of the bottom greenery to expose tiny roots and just stuck it in a pot) but not pups or new spikes with fruit yet so it’s still just an experiment. All I know about growing pineapple I learned via a horrible PA as a captive passenger in a van driving a curving coastal highway on Maui. The van driver was most certainly a qualified expert on tropical agribusiness, as he had moved to Hawaii 4 or 5 years before I believe from Minnesota, which of course ranks very highly in pineapple production. I have done this same thing with green onions and it works well. I planted them in the spring and I was harvesting throughout the summer. I remember hearing it on TSP, an interview episode from years back. I think it was with… Baldy and the Blonde? I even planted some green onions that got stuffed in back of the fridge and were brown and slimy. I pulled off the worst of it and figured ‘why not try’. They all grew Hardy things. I didn’t know about celery. I’ll definitely be trying that one. Being of the same general family (I think), I wonder if that would work for the leeks you just did up. Replant the bottom or cut off the plant a couple inches above the root? Now that is an interesting question….